An elderly man cycling in San Diego County died last week while out on his ride. His identity had not yet been released, but he was known to have been riding his bicycle south along North Torrey Pines Road when he died, and had apparently experienced a medical problem, which was to blame for his death, according to San Diego Police Department officers who reported on the matter. Police had received a call around 10:45 a.m. the day of the accident last week about a solo bicycle accident along North Torrey Pines Road just north of Callan Road, and found the man alone and on the pavement when they arrived. The official cause of death is still pending an autopsy to be conducted by the Medical Examiner’s Office. If you or anyone you know has ever been injured or killed in a San Diego bicycle accident, please contact San Diego personal injury attorney. You may also contact these San Diego accident attorneys online here. The highly publicized death of a San Diego tourist by a pedicab driver last month has given way to new regulations being put in place on pedicab drivers by the San Diego City Council, who met on Tuesday, July 28, 2009, to re-regulate many of the rules. The council approved a long list of changes that they find will help to improve safety as well as protect the customers. The Council also was adamant that they were not done with the regulations, and would be making more as they continued to research and find what was best to improve the entire oversight. New regulations will cap the number of pedicabs allowed to operate in high-traffic zones and will require drivers to display fares in a prominent location. It will also ban the three-wheeled bikes from sidewalks and streets with speed limits of more than 25 mph, unless they safely use a bicycle lane. They will no longer be allowed to take up metered parking space and must carry proof of insurance and require their passengers to wear seat belts. All regulations will be taking effect in 30 days. Many pedicab owners are very upset about the new laws, as it is projected to hurt their business by having to cut their workers by as much as 60 percent. 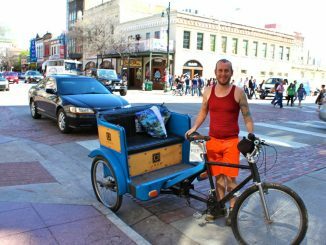 Currently, 430 pedicabs are legally registered to operate in San Diego, and 817 people have received operator permits to drive the pedicabs within the past year. 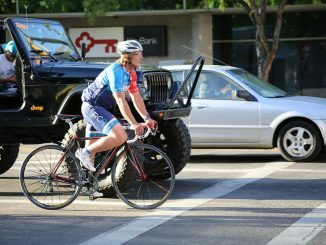 You can read more about the San Diego City Council’s hearing and proposed new laws to regulate pedicab safety in this SignOnSanDiego.com story. If you or anyone you know has ever been injured or killed in a San Diego pedicab accident, please contact San Diego personal injury lawyer and the San Diego injury attorneys. A 12-year-old San Diego County boy ran a stop sign while riding a scooter, which resulted in a minivan vs. scooter accident in San Marcos, producing devastating results. A sheriff’s deputy reported that the boy was airlifted to San Diego’s Rady’s Children’s Hospital for treatment. 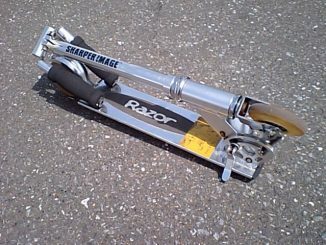 The boy had been riding the popular Razor scooter along with two other boys on Pommel Way southbound at 7:45 p.m. on July 25, 2009, when they went through a stop sign at Palomarcos Avenue, and he collided with a minivan that was crossing through the intersection at the time. The driver of the minivan had attempted to avoid collision, swerving and successfully missing the first two boys, but struck the third, inducing a serious head injury and possible traumatic brain injury (TBI) to him. Earlier this week, we posted a story about this fatal San Diego trolley accident in Chula Vista where 4 year-old Veronica Ramirez was killed. She had been riding on a bicycle with her father when they approached the trolley crossing at L Street. According to witnesses, the guard arms were down and the warning lights were flashing when Veronica’s father decided to ride around the guard arms in front of the oncoming trolley. Veronica was airlifted to Rady’s Children’s Hospital in Kearny Mesa to treat her ultimately fatal traumatic brain injury (TBI) and head injury. Her father was taken via ambulance to treat a fractured pelvis. Last Friday, federal investigators were on a mad hunt to find the suspect involved in the shooting of a U.S. Border Patrol agent who was shot in the head in Chula Vista. Unfortunately, the suspect has left only a confusing trail of evidence. Agent Robert Rosas, a 30-year-old married father of two was killed around 9 p.m. last Thursday when responding alone to a suspected border incursion near Campo, a town in rural, arid terrain in southeastern San Diego County. He was shot in the head and in the body and was dead by the time backup agents arrived, according to Keith Slotter, a special agent in charge of the FBI’s San Diego bureau. On July 28, 2009, an Orange County jury awarded a severely injured construction supervisor $4.7 million after he was struck by a commercial truck while supervising the installation of a natural gas pipeline in Orange County. The 36 year old man was left with severe injuries that made him disabled and restricted his physical abilities. The underlying commercial truck accident occurred on December 8, 2006, while the plaintiff was supervising the installation of a natural gas pipeline when he was struck by a Chevrolet Tahoe driven by an employee of the defendant making a lunch delivery. The defendant was a franchisee of three El Pollo Loco restaurants. The defendant driver had pulled from a stop sign into the intersection in front of an approaching Toyota 4-Runner. Neither driver saw the other before the collision. After both vehicles struck each other, the Chevy was propelled into the plaintiff, causing severe injury, including a shear fracture of the pelvis and a massive injury to the left shoulder. Total medical care costs exceeded $405,000 and the plaintiff lost $63,000 in income. He underwent three surgeries to stabilize his pelvis and beat two separate bouts of MERSA following the surgeries. As a result of the accident, the plaintiff was forced to give up his field supervisor position in favor of a sedentary job as an estimator for underground construction. 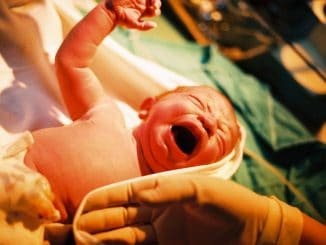 There was no claim for future medical care since the experts on both sides agreed that no medical treatment would improve the plaintiff’s condition. The medical evidence was also largely undisputed. The plaintiff was relegated to a largely sedentary lifestyle following the auto accident. He could not lift over 20 pounds, had difficulty walking over half a mile, and could not sit or stand for prolonged periods. Prior to the car accident, plaintiff was in excellent health and had a very active lifestyle with his wife and two children. The defendant driver pointed the finger at the driver of the 4-Runner and did not take responsibility for his own role in the accident. After a jury trial, the jury rejected the argument that the driver of the 4-Runner was negligent and concluded that it was not reasonable for him to anticipate that the driver of the Chevy would enter the intersection when it was unsafe. The jury awarded over $405,000 for past medical costs, past wage loss of over $63,000, past “pain and suffering” of $2,000,000, and future “pain and suffering” of $2,250,000 for the remaining 40 years of plaintiff’s life. Congratulations to the plaintiff on receiving a fantastic and well-deserved victory. We wish him and his family the best in the future. On July 21, 2009, a bicyclist was fatally injured on a rural road in North San Diego County when the bike he was riding was struck by a pickup truck. The victim, Angel Guadalupe Galvez, 37, had been cycling southbound along Cole Grade Road in Valley Center as the 1992 Chevrolet pickup approached from behind, around 8:15 a.m. according to California Highway Patrol. As the driver tried to pass Galvez just by Fruitvale Road, the struck intercepted the bicycle. Medics that had arrived on the scene took Galvez to Palomar Medical Center in Escondido, where Galvez, a Valley Center resident, was pronounced dead a short time later. 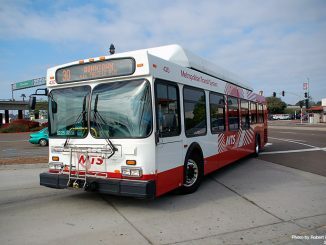 A 4 year-old girl, identified as Veronica Ramirez, was killed and her 34 year-old father injured when the bicycle they were riding was struck by a San Diego trolley in Chula Vista on July 26, 2009. The Chula Vista bicycle accident occurred on westbound L Street near Industrial Boulevard. According to witnesses, the trolley signals were already activated and the barriers were lowered when the young man attempted to cross the tracks as the trolley approached. 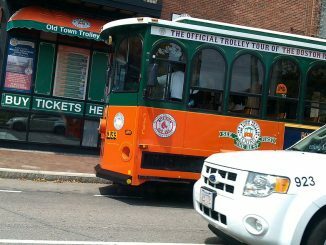 The trolley struck the bicyclists, sending them flying about 40 feet. The young girl was taken to Rady Children’s Hospital but died a short time later from her head injury. Her father was taken to UCSD Medical Center with a broken hip and internal injuries. Disabled Californians who qualify may receive Social Security Disability Insurance (SSDI) benefits from the federal Social Security Administration (SSA) may also find that their family members qualify for benefit payments in certain circumstances. However, the total amount of benefits family members can receive due to another family member’s disability are typically capped. 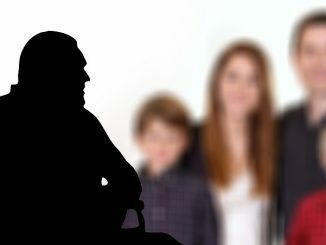 Spouse: Your spouse may be able to receive benefits once he or she reaches age 62, or if he or she is caring for your child under age 16, or your disabled child of any age. 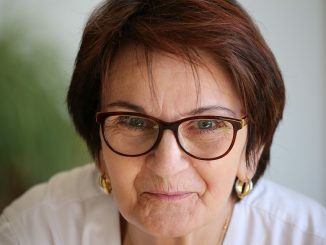 Former spouse: A former spouse may qualify for benefits based on your work record if you were married at least 10 years, the former spouse is at least 62 years old, and the former spouse is unmarried and does not qualify for benefits on his or her own work record. 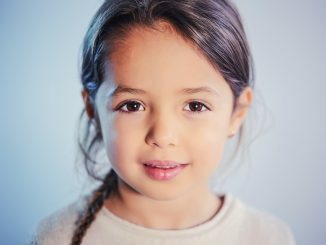 Children: Children, stepchildren, and adopted children may qualify for benefits under your name if they are under age 18, under age 20 and in college, and unmarried. Disabled children or adult children: Children who are disabled before age 22 may qualify for benefits under their own name, regardless of whether they became disabled before or after they reached legal adulthood. Before age 22, a young person does not need to have a work record in order to qualify for Social Security Disability Insurance. Our experienced San Diego disability attorneys can help you and your family get the disability benefits you need. Contact us today for a free, confidential case evaluation. A hit-and-run accident in El Cajon recently sent an injured bicyclist to the hospital and police on a search for the driver involved in the accident, according to a recent article from UT San Diego. The bicyclist had just left a house on Sumner Avenue when he tried to cross the street at the Oro Street intersection. According to witnesses, the driver of a car traveling down Sumner Avenue did not stop in time to avoid hitting the bicyclist. 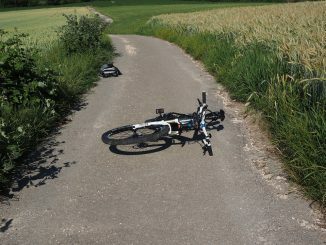 The man was knocked off the bicycle and onto the side of the road. Witnesses reported that another person got out of the passenger seat of the vehicle and checked on the bicyclist briefly before getting back in the car and leaving. The driver was not seen getting out of the car. The injured bicyclist was taken to a local hospital for treatment of traumatic brain injuries and fractured ribs. Investigators did not say whether or not the bicyclist was wearing a helmet at the time of the California bicycle accident. Traumatic brain injuries can cause permanent disabilities, including difficulties with memory, concentration, communication, learning disabilities, and chronic head pain, balance problems, or difficulty with motor skills. Fractured bones, such as broken ribs, can also cause long-term health problems that need ongoing care. If you’ve been injured due to a hit-and-run driver, you don’t have to fight for compensation alone. A knowledgeable El Cajon hit-and-run accident victim lawyer can help. Contact us today for a free consultation. A San Diego house party on July 18, 2009, turned dangerous when a man in attendance there was knocked unconscious before he left in the early morning hours, according to police. The Rancho Bernardo assault occurred around 5 a.m. when the assailant insulted the victim’s girlfriend at the party that was held on Grassy Trail Drive. After the insult, the girlfriend threw her drink on the man and he pushed her. The woman’s boyfriend then grabbed the assailant and told him to leave immediately. Although the man left with his friends, they waited outside for the couple to leave. When they did leave, the attacker reportedly punched the victim in the face, knocking him to the ground. The assailant did not stop there, however, as he stomped on the man’s face and then fled. The man had to be taken to the hospital by his friends for serious injuries, although they were not believed to be life-threatening. You can read more about this San Diego assault and battery in this SignOnSanDiego.com story. If you or anyone you know has ever been injured or killed in a San Diego private property injury please contact San Diego personal injury lawyer and the San Diego injury attorneys. A San Diego Metropolitan Transit System security officer was reported to be in stable condition in the hospital following a shooting attack on his life when he was shot twice while at the Grossmont Trolley Station in La Mesa late July 18, 2009. The shooting happened at 10:15 p.m. when an unidentified man shot the worker with a semiautomatic pistol, and then took the gun and two spare magazines from the officer’s belt. The attacker was not found even though a search was conducted with both police dogs and a helicopter. 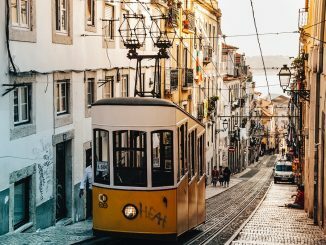 Trolley services at the station were suspended until 3:40 a.m. the following day for the police investigation. Riders were instead transported by bus. MTS officials report that security has been enhanced as a direct result of the incident. 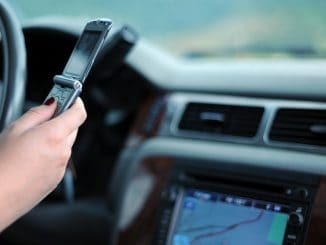 The results of a study conducted by the Automobile Association of America has shown that driving while texting (DWT) increases the likelihood of being involved in a car accident by a staggering 50 percent. A similar study also showed that DWT was considerably more dangerous than driving while under the influence (DUI). One of the studies simulated driving with a light turning red on the dashboard to show a car stopping suddenly in front. Results showed that it took longer and required a much greater distance for a DWT driver to stop than a DUI driver. According to this particular scenario, texting is significantly worse than being drunk when operating a motorcycle or motor vehicle. While the rate of auto accident deaths due to DWTs increases, researchers at the University of Utah have developed a device they named Key2SafeDriving which blocks all cell phones in a car that has its ignition turned on. This program would allow calls to 911 and other special numbers the override the disarming. DWTs is a significant problem not only on freeways and streets but on train and trolley tracks as well. Recently in Southern California, a commuter train engineer ran a red light while texting and caused a train crash that killed 25 people and injured 130 others. A 4-year-old child was seriously struck and injured in a Desert Hot Springs car accident on July 14, 2011, around 8:49 p.m. at Palm Drive and Dillon Road. According to Riverside County Fire Department officials, the kid was riding his bicycle when a motorist struck him at an intersection. This news report offers very few details about what caused this injury crash. There are several questions here. Was the motorist speeding? Was he distracted or fatigued? 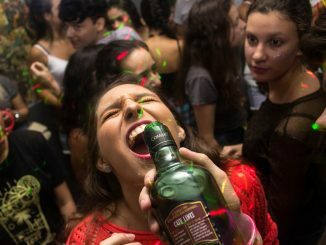 Did alcohol or drugs play a part? Where were the parents of the child at this time? We trust that the investigating officials are looking into these and other issues in order to determine how or why this car collision occurred. 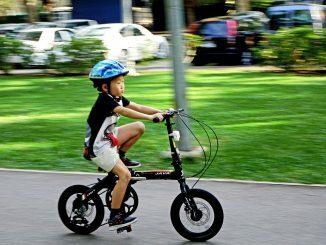 The injured child’s parents should seek counsel from an experienced Riverside County bicycle accident lawyer to know about their legal rights and obtain compensation to cover treatment, medical and hospital costs. A child injury lawyer would assure that the at-fault car driver is apprehended and brought to justice. Our personal injury law office sincerely hopes and prays that the injuries suffered by the child heal soon. Car accidents in southern California are a well-known source of injuries, but a fire caused by an accident or a defect in the vehicle’s design or manufacture can also cause serious harm or death. One way to help protect yourself and your family from the risks of vehicle fires is to be informed about the risks. California vehicle fires account for one in every six fires in the state, according to the U.S. Fire Administration. However, this number does not count the thousands of car accidents fire departments respond to even when no fire occurs. Defective parts, maintenance, or repairs are the most common cause of U.S. vehicle fires, along with other types of accidental fires. 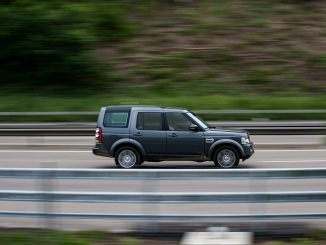 The majority of highway vehicle fires – 84 percent – start in passenger vehicles, like cars, pickup trucks, and SUVs. Of these, 62 percent start in the vehicle’s engine. About one-third of engine fires end up killing at least one person in the vehicle. Vehicle fires are more likely to cause a death when they are the result of a crash. 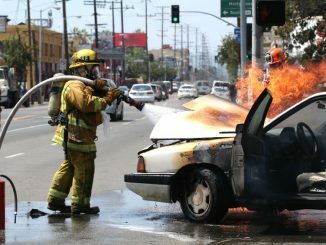 In 57 percent of car accidents that caused a vehicle fire, at least one person suffered fatal injuries in the U.S., according to the Fire Administration. If you or someone you love has been injured by a fire in a motor vehicle, the knowledgeable San Diego burn injury attorneys can help you find out exactly what happened and hold any negligent parties responsible. For a free case evaluation, call our office today. A hit-and-run accident in San Diego County recently left one bicyclist with fatal injuries, according to an article in The Sacramento Bee. The bicyclist, an 18-year-old man from Escondido, was riding in Rancho Santa Fe when he was struck by a truck driven by a 19-year-old student from Del Mar. The impact damaged the truck’s headlight and tire. According to investigators, the driver of the pickup truck pulled over after the accident to adjust pieces of the broken headlight and to pull strips of rubber off the damaged tire. He then drove home on what remained of the tire, leaving the severely injured bicyclist behind. According to the Bee, prosecutors in San Diego County are proceeding on criminal charges against the truck’s driver. California’s criminal courts have the power to handle hit-and-run cases, but an additional suit can also be pursued in civil court in order to compensate an injured person or that person’s family directly after a hit-and-run accident. While the county prosecutor makes the decision to pursue a criminal case, an injured person or his or her family makes the decision whether or not to pursue a civil one. 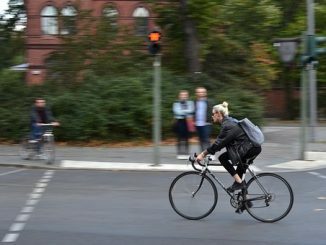 Bicyclists have the same legal rights to use the road as motor vehicles, but their greater exposure means they are more likely to suffer serious injuries if a crash occurs. 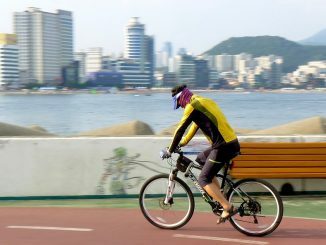 An experienced southern California bicycle accident lawyer can help you get the compensation you need, so you can focus on getting well. For a free consultation, call us today. Boating and alcohol use can be a deadly combination. According to the California Department of Boating and Waterways, 25 percent of all boating-related deaths involve alcohol use. Having a sober driver for your boat is every bit as important as having a sober driver for your car – and if you choose to drink and boat, the stakes are just as high. 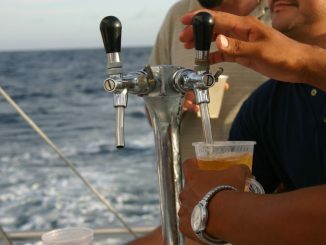 Although the legal limit for being under the influence of alcohol is a blood alcohol concentration (BAC) of 0.08%, studies show that a person’s ability to operate a boat safely may be impaired at as low as 0.35%. Just one drink can raise your BAC to this level, or even higher if your body weight is quite low. It takes about one hour per drink to sober up, or longer if you have a slow metabolism. At a BAC of 0.35%, a person’s judgment and coordination become impaired. Judgment and coordination are two essential requirements for operating a boat safely. You must be able to determine where obstacles, docks, and other boats are, and pilot the boat so that it avoids colliding with any of these things. Impaired judgment makes the first one difficult, and impaired coordination makes the second one more difficult. Unfortunately, even if you choose to boat sober, you can’t control the decisions of other boaters who can cause an accident. If you’re injured in a California boating accident this summer, the experienced California boating injury attorneys can help. Call us today for a free, confidential consultation. On the evening of July 7, 2009, a 4-year-old girl from Carlsbad was hit by a car and flown to San Diego’s Rady Children’s Hospital after the accident to treat serious injuries. Carlsbad fire Battalion Chief Mike Lopez reported that it had happened on the 3400 block of Monroe Street just near Carlsbad High School. The girl suffered from a broken leg when she was boarded onto the medical helicopter to be flown in for treatment, but that at the time she was conscious and alert. The motor vehicle and pedestrian collision was ruled an accident, and the driver was not arrested. The girl was hit while chasing a ball out into the street as a northbound Chevrolet Suburban was approaching and struck her leg. As of last Wednesday, she was doing okay in the hospital. It appears from this ABC News story that Obama will not allow any reasonable and rational consideration stand in the way of nationalizing GM and Chrysler through bankruptcy–a deal that appears only to benefit the auto worker unions. 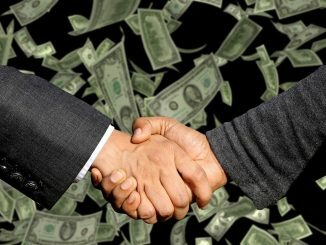 In the latest move, apparently supported by the Obama Department of Justice, the bankruptcy court issued an order that allowed the “Old” GM to sell all assets to the “New” government- and union-owned GM, while leaving all liabilities–including claims by hundreds of people allegedly injured by defective vehicles–with the “Old” GM. Unfortunately, since all assets had been stripped from the “Old” GM, there most likely will be little if any money to pay these injured plaintiffs. These plaintiffs are just the most recent group to have their legal rights taken from them during the GM and Chrysler bankruptcies. Most notably, several retirement funds–including teachers’ pension funds–had their equity stake in these companies decrease to nearly 10% of their original investment. In the case of the GM auto defect plaintiffs, they have effectively lost their day in court to have a jury determine if their loved one’s death or their serious injury was caused by GM’s faulty design or construction. Even if a jury finds in their favor now, it is but a hollow victory since there is no money to compensate these victims for their losses. The deal for the Chrysler plaintiffs is even worse. Based upon the bankruptcy court’s order, any plaintiff who bought their Chrysler car before the June Order cannot sue Chrysler for injuries caused by an auto defect–even if the injury occurred after the Order was issued. The Obama administration’s decision to throw injured victims under the bus in the name of protecting these failing behemoths to escape their responsibilities is despicable. Considering that Obama ran on a platform of “Hope and Change” that would look out for people and not the corporations shirking their responsibilities, every American should be extremely upset. Not only is it hypocritical but it puts profits over people. 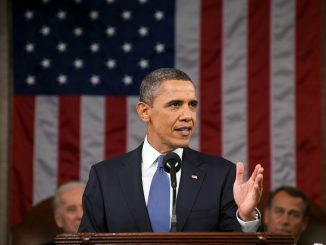 Look next for Obama to create national medical malpractice caps, artificially protecting negligent doctors from having to take full responsibility for their errors, in order to pass his Health Care Reform bill. A private residence house party in Escondido celebrating the Fourth of July last Saturday turned fatal when one party-goer was ultimately shot and killed at the festivities. The victim was identified as Daniel Eugene Alexander, 26, of Escondido. Escondido Police reported that Alexander had been shot in the head while at the party taking place on Vine Street near West Ninth Avenue. Police had been called to the scene at 11:35 p.m. about a fight on the property. Officers arrived on the scene within three minutes and then heard gunshots. They then found Alexander lying in the driveway, and he later died at the scene. SWAT officers were later called in and searched the house but were not successful in finding a suspect. One of the most common injuries suffered by San Diego accident victims is a spinal injury, typically resulting in pain to their back or neck. The spine is the foundation and structure for your entire body, so an injury to the spine can be very serious. Spinal injuries are serious, common, and are injuries that can affect people the world over from many different incidents. While different diseases such as spina bifida or polio used to be the main causes of spinal problems, the use of motor vehicles and public transportation have made Americans more likely to suffer from the most dangerous forms of spinal injuries. Despite the best attempts to keep everyone safe, we still hear of car accidents in Chula Vista, pedestrian hit-and-runs in San Diego, Amtrak crashes in Oceanside, and, as of recently, train collisions in DC. Most Californians are involved in some kind of car or traffic accident at some point in their lives. No matter where you are hit, how intensely you are pushed, the force and spinal injury caused by such collisions are unnatural and overall harmful for those involved. Other causes can be gunshot wounds or falls. The spine is one of the most important, and most delicate parts, of our bodies. Back injuries can leave lasting and traumatic disability to all of us. Spinal cord injury, or SCI, is any damage to the spinal cord that results in a loss of function or mobility. The spinal cord does not have to be severed to leave lasting disability, but damage to the spinal cord can leave a lifelong impact. SCI can be anything from back injuries, ruptured discs, spinal stenosis, or pinched nerves. The spinal cord is roughly 18 inches long and extends from the base of the brain down to the waist. The nerves embedded by the spinal cord carry messages from your brain to other parts of the body. The vertebra along your spine are categorized, the top being Cervical, (the first vertebrae is C-1), followed by Thoracic, Lumbar, and Sacral. Some common injuries to the spinal cord resulting from car accidents, falls, or injuries are below. Disc bulging: A bulging disc related to the lumbar nerves occurs when a disc bulges through a crevice in the spine. Discs are the soft, gelatinous material that cushions the vertebrae, and a bulge occurs when it shifts out of its normal radius from accidents or simply old age. Disc bulges can go unnoticed and remain unsymptomatic if they do not hit a nerve. Herniated disc: Herniated discs cause pain in the back, legs, or lower extremities. When a disc herniation occurs, the cushion between spinal vertebrae is dislocated. Disc herniation normally would not be problematic except that the dense amount of nerves nearby means that the disc tends to hit and rest on nerves that cause the person a lot of constant pain. When the elastic of the disc ruptures, it can get pushed out and can pinch nerves. Many people who experience a herniated discs already suffer from spinal stenosis, which causes narrowing of the space between the spine and the nerves. Disc rupture: A disc rupture can occur anywhere throughout the spine. Most commonly it occurs near cervical or lumbar nerves. 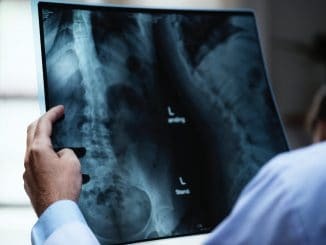 A disc rupture can cause radiculopathy, which is a root nerve irritation and can cause pain going up and down arms or legs, coupled with weakness or numbness. Approximately 450,000 people live with SCI within the United States. There are about 10,000 new SCI’s every year, and the majority of them (82%) involve males between the ages of 16-30. Motor vehicle accidents leaving these injuries account for 36% of the total, violence is 28.9%, and different types of falls are 21.2%. With this rate of serious injury that can result from a car or motorcycle accident in San Diego, don’t be unprepared. Contact us for help if this has ever happened to you or a loved one. One of the secrets and silent serious injuries one can suffer during an accident is a minor traumatic brain injury (MTBI). Notably, Natasha Richardson died following a closed head MTBI injury after striking her head while skiing. It was also speculated that pitchman Billy Mays’ death was caused by MTBI due to falling objects from the overhead compartments in his plane. MTBI is a very serious condition that can prove fatal if not quickly diagnosed and treated. To better inform San Diego residents, our website added this helpful information about minor traumatic brain injury (MTBI), including its’ detection and treatment. Many people heard of Minor Traumatic Brain Injury (MTBI) recently when it was cited as the sudden cause of death for Natasha Richardson, notable model and wife of Liam Neeson. However, as a life-threatening condition, and one that can be imposed on you by people or places that may be liable for your injury, it is important to know and understand some of these relatively common injuries that can be often misdiagnosed. One of the biggest problems with MTBI is that most people do not realize that something is wrong until it is too late. If there is no penetration or bleeding, most will try to just shake it off. However, brain injuries can be incredibly complex, and with the brain being center of all activity of our body, damages done to it can affect nearly anywhere else in our body, both physical and mental limitations. 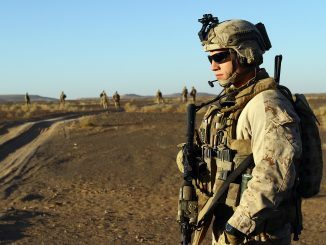 Sudden head injuries tend to take us to the emergency room, where time is of the essence, and physicians are only looking for severe brain injuries. This means that minor injuries may go unnoticed. Patients will be told that they are fine, only to develop symptoms in the future which, by that time, will not be attributed to a mild head injury from months previously. Below are some symptoms that are associated with MTBI. Most can also be attributed to other disorders, so correct diagnosis is typically missed, and the patient is sometimes then accused of fabricating symptoms and/or not taken seriously. 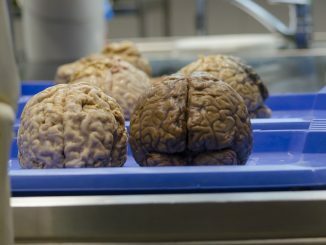 A doctor with Duke University noted that a person can seem incredibly and deceptively lucid and normal following injury, but have a sudden turn for the worse as bleeding from the brain can cause a pressure build up until they experience a traumatic brain injury. Delay in symptoms can range from five minutes to three hours. Immediate treatment is always essential, as damage done to the brain from swelling is often irreversible. Any type of blow to the head has the potential to cause this. Luggage falling on your head when retrieving overhead storage on an airplane at San Diego airport, hitting your head on your steering wheel after being rear-ended on the interstate 5, or even a branch falling while a neighbor trims their tree in your Escondido neighborhood has the potential to induce MTBI. Remember to always take precautions with accidents, and especially your health. A 3-year-old girl suffered injuries after being run over by a lifeguard on June 30, 2011, at Pacific Beach near Law Street. According to San Diego Police Department, the lifeguard drove Chevy Colorado pickup truck at 5 MPH when he hit the girl, who was covered with a towel. Paramedics responding to the accident immediately transported the injured child to Rady Children’s Hospital where she received treatment for the minor injuries suffered. 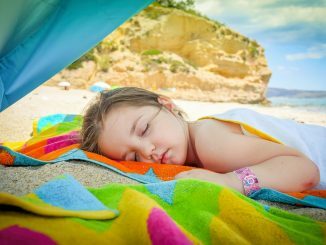 The lifeguard was experienced and said he did not see the child, because she was covered by a towel. Fortunately, the young child suffered only minor injuries. The father was surfing at the time of the accident. The injured girl’s family members should consult with an experienced truck accident lawyer serving San Diego County to obtain compensation to cover treatment, hospital and medical costs, and other accident-related damages. A claim can be made against the lifeguard and his employer. 21-year-old Los Angeles County resident Brittany Stark was killed and two others suffered serious injuries in Colorado River boating accident on June 26, 2011, around 10:26 p.m. According to San Bernardino County Sheriff’s Officials, the Ski Centurion was being driven at about 25 mph by 20-year-old Gregory Kettlekamp when it hit the shore and stopped abruptly. Several of the passengers were ejected out of the ski boat. Stark was immediately transported to La Paz Regional Medical Center where she was later pronounced dead. The other two injured victims were airlifted to Good Samaritan Hospital to receive medical treatment for the injuries suffered. Now the investigating officers need to determine whether there was a mechanical failure or Kettlekamp was driving negligently. It is still unknown if alcohol was a contributing factor to this collision. If it is found that Kettlekamp is responsible for the accident, then he may be held liable for Stark’s wrongful death and injuries suffered by others. It would be in the best interest of Stark’s family members to seek counsel from a San Bernardino County boating accident lawyer to know about their legal rights and options. An experienced lawyer will help the victims and their family members obtain compensation to cover funeral costs, medical costs, loss of anticipated income, loss of love and companionship, and other accident-related damages. Our law office offers sincere condolences to all those who knew and loved Stark for such a tragic loss. We also hope and pray that the injuries suffered by the other passengers heal soon. An Oceanside motorcycle crash on Highway 76 near the Interstate 5 onramp on June 28 was reportedly caused by a hit-and-run SUV driver who had fled the scene, along with his two passengers. 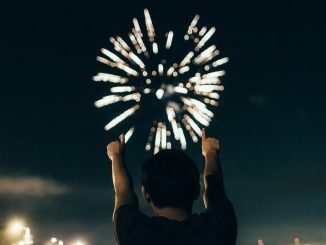 In recognition of the July 4 holiday, the Federal Motor Carrier Safety Administration (FMCSA) recently granted an Hours of Service (HOS) exemption to some truck drivers that carry fireworks for commercial shows, according to a recent article in The Trucker. 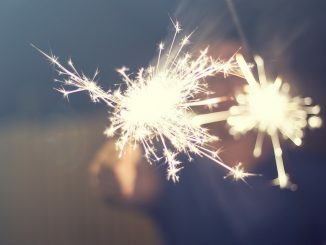 The exemption applies to the 55 companies that are members of the American Pyrotechnics Association (APA). The exemption covers the part of the hours of service rules that prevent drivers from taking the wheel after the 14th consecutive hour of being on duty, as long as they have spent some of that time off-duty or in a sleeper berth. It does not apply to other parts of the HOS requirements, such as the limit on the number of hours a driver may operate a truck within one 24-hour period or the limit of 60 or 70 hours of driving per week. The exemption applies to APA members who are transporting fireworks between June 28 and July 8, 2013, and it is also in effect for the same time period in 2014. Only one motor carrier who requested a renewal of the exemption has been denied, according to the FMCSA. The agency believes that the exemption will allow APA members to complete their work while still maintaining safety on the roads. Fireworks are a classic part of Independence Day celebrations, and many southern California families will travel by car to see them. If you’re injured this holiday, the dedicated San Diego injury attorneys can help. Contact us today for a free and confidential case evaluation.